Ahead of the 2019 Lok Sabha and Assembly elections, Haryana is in poll mode with political parties launching their respective campaigns. The big question that remains is whether the Haryana Assembly polls will be held with the Parliamentary polls which are five months before the state Assembly polls are due in October 2019. Having denied reports of early Assembly elections in the past, Chief Minister Manohar Lal Khattar has yet again fuelled speculation by expressing readiness for the Assembly polls along with Lok Sabha polls if the Centre or Election Commission decide so. However, Khattar maintains that the ruling BJP won’t make such a demand. “Suppose, the Centre or Election Commission (EC) plans Assembly polls along with Lok Sabha elections, then we don’t have any problem. It’s advantage for us. The BJP is ready for it,” he said. “The EC has a right to hold polls within six months (in advance). If Lok Sabha polls are held in November-December this year, then the EC won’t opt for Assembly polls along with Parliamentary polls. 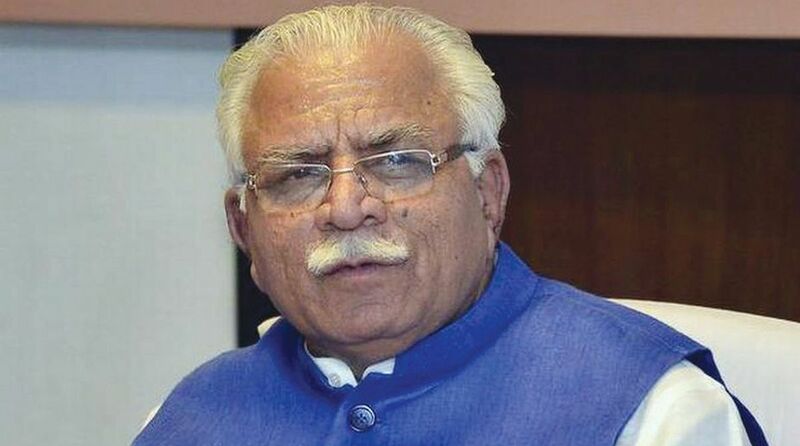 But it may opt for simultaneous polls if the Lok Sabha polls are held in May, in which case there would be a difference of five months (between the Lok Sabha polls and tenure of Haryana Assembly),” Khattar added. The Haryana CM’s latest stance on Assembly polls is contrary to his earlier stand that Haryana Vidhan Sabha elections will be held in October 2019 as per schedule and not simultaneously with Lok Sabha polls. Khattar’s latest stand on Assembly polls perhaps explains the sudden increase in the ruling BJP’s range of activities and “connect to people” programmes after recent visits of BJP president Amit Shah to Haryana. The BJP chief had recently held a meeting with the CM, Union Cabinet ministers belonging to Haryana, state Cabinet ministers and other senior party leaders to review the preparations for Lok Sabha and Haryana assembly polls scheduled to be held in 2019. To motivate booth-level party workers and resolve their grievances ahead of 2019 polls, Khattar has launched ‘chai pe charcha’ programme in the state to reconnect with party workers at grassroots level. The CM is taking their feedback over the functioning of the BJP government in Haryana and to gauge the public mood about the government’s performance. The BJP has recently concluded the ‘mahasampark abhiyan’ undertaken to apprise people about the schemes of the Central as well as the state government besides highlighting the government’s achievements. CM Khattar has also been undertaking roadshows in various constituencies and gram sabha programmes to reach out to the rural population in all 90 constituencies of Haryana. Not wanting to be caught napping, other parties are also getting prepared for early Assembly polls. Former CM Bhupinder Singh Hooda of the Congress is holding a series of public meetings through his “Jan Kranti Yatra” cornering the BJP government on various issues. Not to be left behind, the Indian National Lok Dal (INLD) has started a “jail bharo” agitation demanding immediate completion of Satluj Yamuna Link (SYL) canal. Hooda, who remains the most powerful Congress leader in the state, launched the “Jan Kranti Yatra” from Panipat in May to raise issues pertaining to farmers, the poor, labourers and the youth. Hooda is targeting both the BJP government as well as the Indian National Lok Dal (INLD) leadership. The former CM has been scathing in his attacks on the BJP, questioning the performance of the party’s governments, both in the state as well as the Centre, on issues of job generation, addressing concerns of farmers, repeated failures on the law and order front and reliance on caste and communal polarisation. Addressing a public rally during his Rath Yatra, Hooda announced waiver of loans of farmers and poor people and increase in old-age pension to Rs 3000 if the Congress comes to power in the Haryana assembly elections. Other prominent Congress leaders in the state, Haryana Congress president Ashok Tanwar and former state minister Randeep Singh Surjewala are also holding separate rallies and programmes across the state. Not to be left behind, the INLD and Bahujan Samaj Party (BSP) combine has just concluded its Jail bharo agitation and keeps attacking the BJP governments in the state and the Centre on the emotive issue of SYL canal. INLD leader Abhay Chautala said the Centre had been directed by the Supreme Court to complete the construction of the canal. 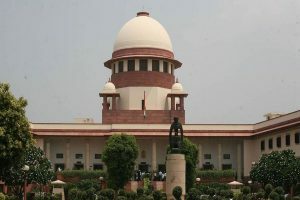 “But the government has been sitting over the directive for the past 18 months even after the disposal of the dispute,” he said while accusing the Centre and the state government of conspiring against the interests of Haryana. The Aam Aadmi Party (AAP) has also launched a ‘Haryana Jodo’ campaign and has also announced AAP president in Haryana, Naveen Jaihind, as its CM candidate. AAP’s supremo and Delhi Chief Minister Arvind Kejriwal has also been taking out time to hold mass contact campaign in his home state, Haryana.